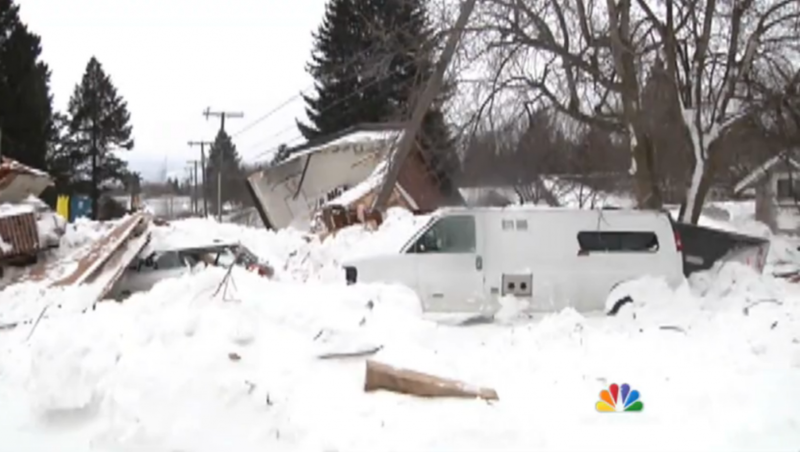 A snowboarder triggered avalanche buried part of a neighborhood in Missoula, Montana. The slide destroyed homes and injured residents, leaving one in critical condition. Neighbors teamed up to dig the victims out. The snowboarder was riding in a restricted area, and should be facing some jail time.